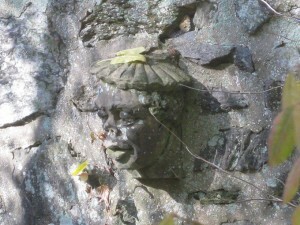 One of many sculptures by John Maene in Rose Valley – this one on the Old Mill Lane Bridge over Vernon Run. (Look over the sides at the center of the bridge) Maene moved to Rose Valley in 1902 and completed sculptors on Price’s Traymore Hotel, Swarthmore Presbyterian Church, Valley Forge Chapel Choir stalls and The Hearst Mansion, San Simeon. He is the great-grandfather of Borough Manager Paula Ward Healy. We would like to learn your thoughts and suggestions about what we can do in the future as well as about what we are doing right now. The Rose Valley Centennial Foundation cannot exist without our community’s input. Please contact us today.